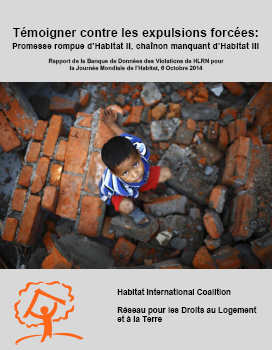 In light of the Habitat III conference in October 2016, HIC-HLRN returns to the scene of its fact-finding mission in March 1996, ahead of the Habitat II conference in Istanbul, Turkey. There, HIC investigated reports of massive demolition of Kurdish villages by the Turkish military. That history is repeating itself with the destruction of Kurdish habitat in southeastern Turkey, this time in several major cities, since the end of the government’s ceasefire with the outlawed PKK in 2015. 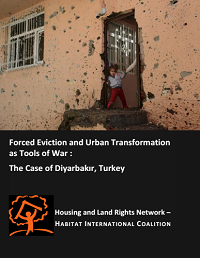 In the first time that HLRN focuses a Habitat Day report on a single country, this account relies on the HLRN Violation Database entries for the Republic of Turkey and delves into the details of the specific case of the destruction and appropriation of Suriçi, the historic center of Diyarbakır, which is considered to be the regional capital of the Kurdish people of Anatolia.